This is a new wheel cylinder for the M35A2 Deuce and a half. They fit the front and rear axles. 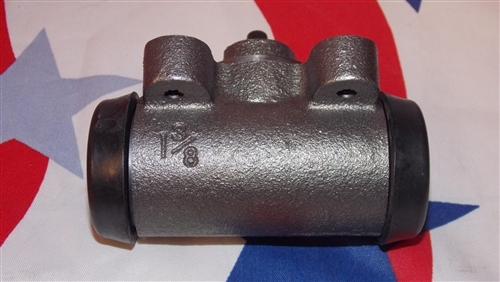 The wheel cylinder also comes with the banjo fitting and bolt, the copper washer seals and the pushrods that go to the brake shoes. 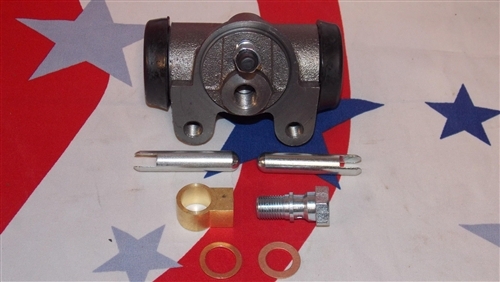 We carry a complete line of deuce brake parts. If you need something you dont see please contact us.